Slowly raise your pelvis until your body is straight from heels to shoulders. Lift a leg straight up off the ball as you did in the straight leg raise exercise. Cross the leg over the other leg, then uncross it and move it away from the body. 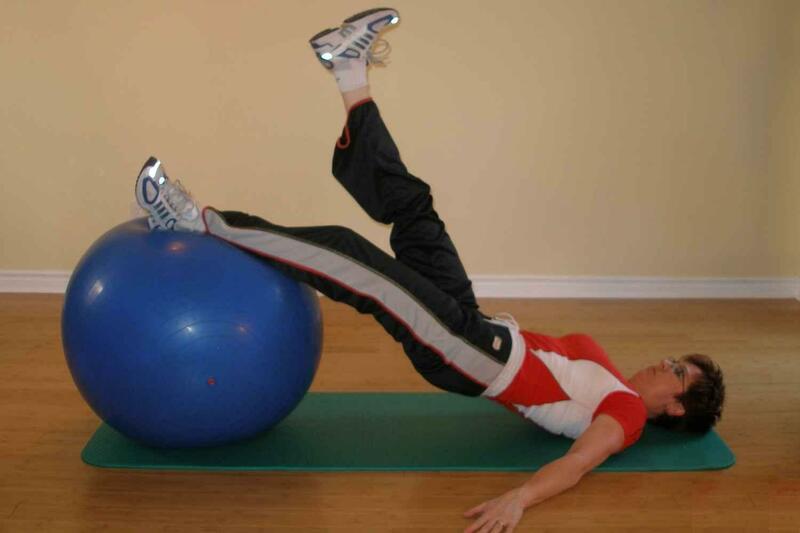 Set your abdominal muscles prior to lifting your hips off the floor and maintain transversus abdominus activity throughout the exercise ball exercise. Try the Bridge with Hip Roll to add some trunk rotation. The muscles you use to lift your leg partially originate from your lumbar spine so it is imperative that you maintain a stable core while doing the leg raise in order to avoid injury. If you are having difficulty with this ball exercise, go back and work on your leg raise and make sure you can hold it for at least 30-60 seconds without sagging or shaking. Begin this exercise with short movement while maintaining control. As you get used to the movements you can increase the amplitude of leg movement. 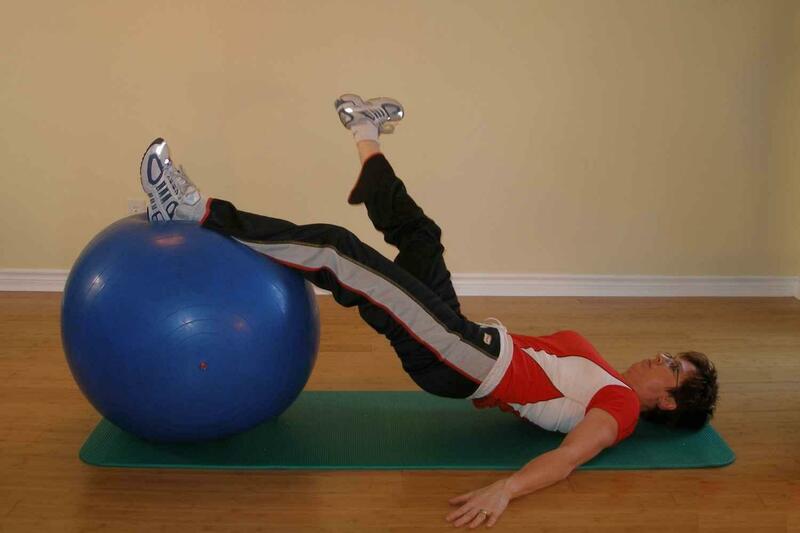 This is considered a more advanced ball exercise because you are forced to maintain a stable core while introducing limb movements in several planes. Try 5 repetitions each side. Try 10 repetitions each side. Try 15 repetitions each side.